Once again I’m pleased to feature a post by the amazing Lily Wight, who found some fairytale illustrations I doubt that you’ve seen before. I wonder what the career path is – Lego engineer has always seemed like a dream job! This month’s Lego fix features Little Red Riding Hood, Beauty & The Beast and a rather startled Little Mermaid. 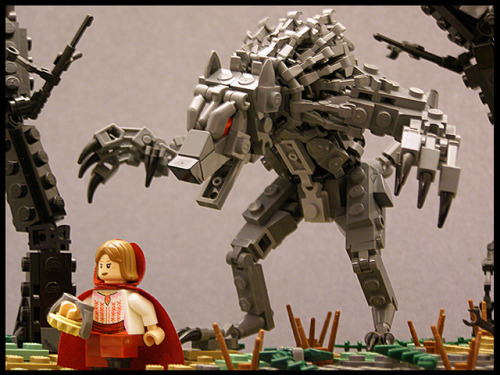 This entry was posted in art, Fantasy, Folklore, Imagination and tagged art, Fairytales, folklore, humor, imagination, Lego. Bookmark the permalink.